They look like regular jalapeños but Tam Jalapeños are much milder. They are more for flavor than hot jalapeños. Like regular jalapeños they are tapered and grow to about 3 inches turning from green to red. Jalapeños register 4750 Scovilles while Tam Jalapeños register 1000 or so. Being sensitive to the cold, planting should be delayed until the danger of frost is past in the spring. Ideal temperatures are 70 to 80 degrees F during the day, and 60 to 70 degrees F at night. Usually, the plants set satisfactory crops when temperatures are between 65 and 80 degrees F and the soil is well-supplied with moisture. Avoid a soggy, water-logged soil condition when growing peppers. Outstanding Features: Has all the flavor of a jalapeño without any of the heat. 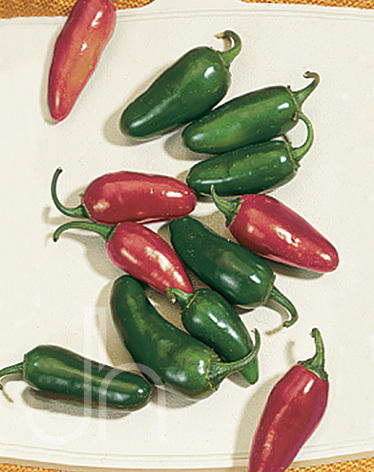 Click here to buy Tam Jalapeno Peppers direct from www.buygardenvegetables.com.